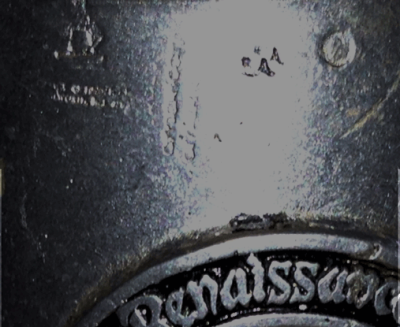 There are several stamps (maker's marks) on the front of this mug, but I can't make them all out. One says "American", one says "USA" . One is circular, and one is a shape. The last one is words that I can't make out. It looks like all the stamps were hit twice, which doubled the imprints and made them difficult to read. I tried to enhance them in a photo below, but they don't look any better. 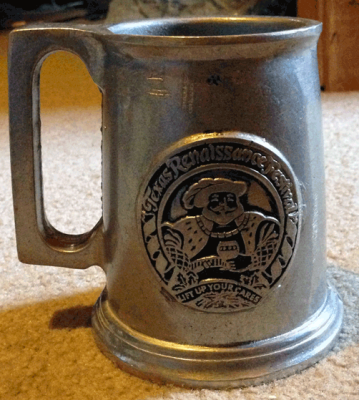 The emblem on the front says, Texas Renaissance Festival - Lift Up Your Cares. 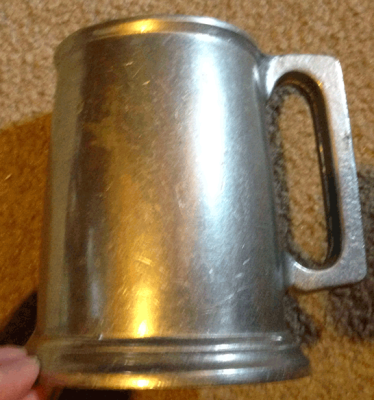 I'm guessing this tankard was purchaed in the late 70's, making this mug at least 35 years old. I don't think it would take much to polish out the scratches. 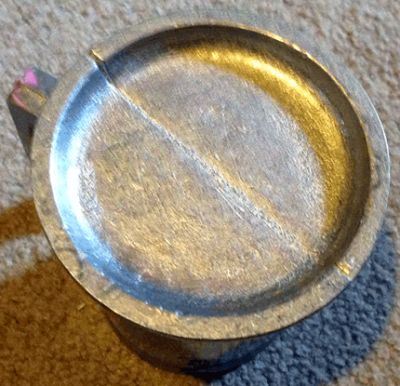 It was used for years as a pencil holder. 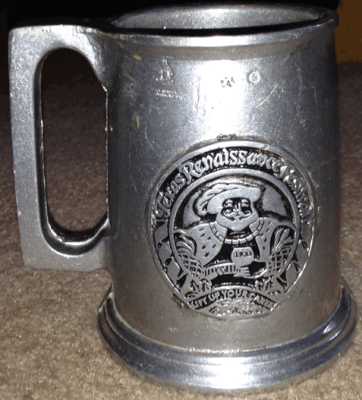 This beer stein is about 4.5 inches tall and about 5.5 inches across, including the handle The mouth opening is about 3 inches wide. I believe these two pieces came from Canada. 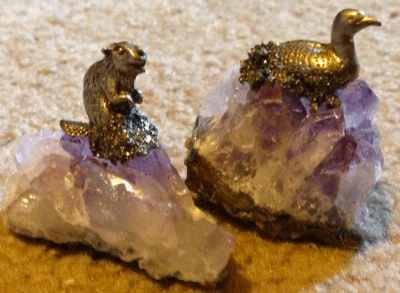 They are a beaver and a loon, perched on amethyst bases. They are less than 2 inches tall and the beaver is longest at 2 inches. They are about an inch wide Together, they weigh 3.4 ounces. These pieces are at least 10 years old, possibly older.